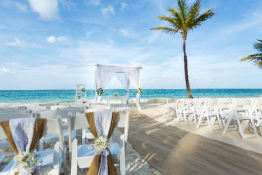 The RIU Palace Bavaro would be ideal for a destination wedding along the Atlantic Coast, located on the beautiful beaches of Arena Gorda. 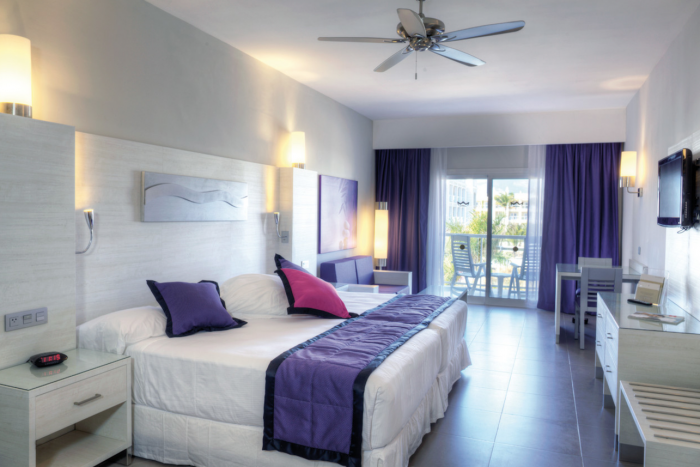 The resort features elegant fresh-water pools, multiple jacuzzis, a kids’ club to entertain younger guests, and sleek contemporary room design that will attract adults. 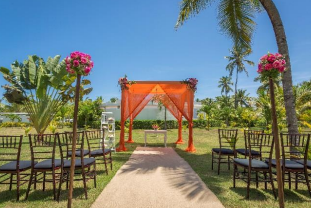 Your wedding ceremony could be set along the pristine beach or at the scenic garden location, both truly photogenic, and the entire property is immaculately landscaped and reminiscent of a modern-day palace. If a VIP room is booked it grants your wedding guests access to a special pool with floating cocktail tables, whirlpool, and a swim-up bar. The garden wedding ceremony venue can accommodate Catholic weddings. Drinks at the nightclub require an additional fee. Free package welcomes up to 10 guests, including the couple, and allows more at an additional cost. The free package is subject to mandatory payment of documentation, administrative ​fees, ​and ​taxes​​ which are pre-established by local government; this payment will be made at the reception of the RIU Hotel. Upgraded packages, additional guests, and add-ons are available for an additional cost. Beach – 350 guests max, Garden – 200 guests max. 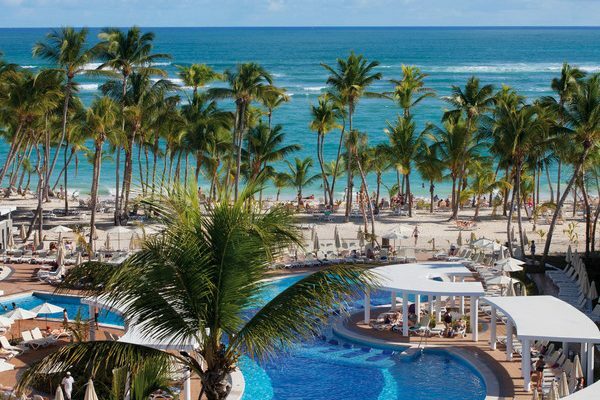 RIU Palace Bavaro is able to hold up to 4 weddings per day, all handled by RIU’s Dominican Republic wedding department across the multi-resort complex. $120 – $170 average price per person per night. Rooms include private balcony or terrace, daily restocked minibar, and 24-hour room service. Children 2 and younger stay free. There are 610 rooms with resort and ocean views. The resort is able to accommodate mobility-impaired guests, although some of the amenities, including the casino, are at nearby sister properties which can require a long walk sometimes. 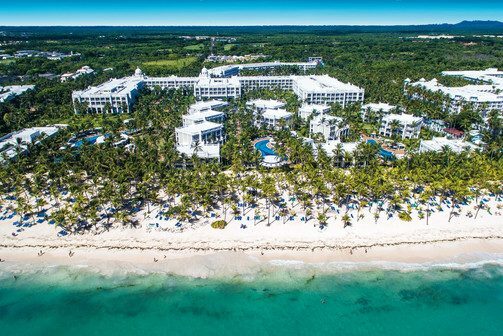 The RIU’s busiest months for weddings as recorded by their wedding department across the multi-resort complex, with highest chances of sell-out, are March through July. This hotel allows a maximum of 3 adults per room or 2 adults and 2 children 12 and younger. The resort is located 21 miles from the PUJ airport. There are 610 rooms with resort and ocean views. The resort is able to accommodate mobility-impaired guests, although some of the amenities, including the casino, are at nearby sister properties which can require a long walk sometimes. 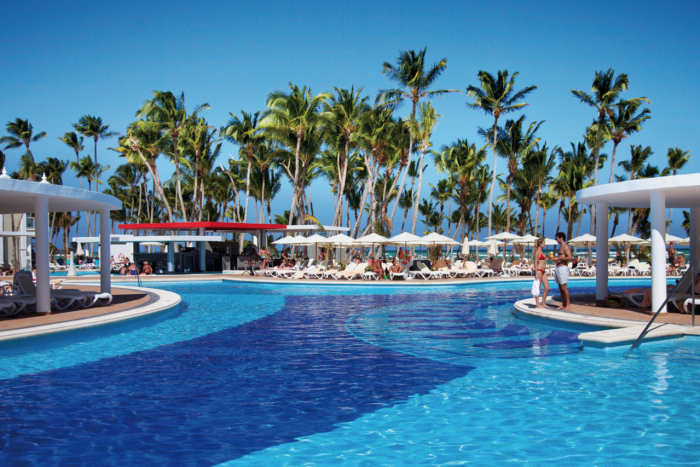 This hotel has exchange privileges with RIU Bambu RIU Naiboa and RIU Palace Punta Cana. 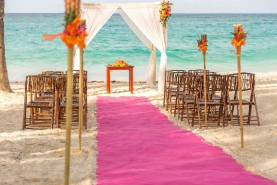 A: ​I’ve been working for RIU as a Wedding & Groups coordinator for over 15 years​. I have coordinated more than 3000 weddings​. A: Our resort has the most amazing beaches in Punta Cana. Our hotels offers a great selection of restaurants and private parties on the beach, which makes a memorable day to all of those couples who chose us for this special occasion. A: ​Brides loves the hotel service, the planning , decoration,​ our weddings coordinators, and mostly the rooms and weddings amenities they get. A: Days when it rains are always scary, the brides get so nervous. One time we had to get a white tent very last minute, and set it up for a reception dinner. 3 hours before that it requiered all of our kitchen and wait staff, and many other members to put for the extra effort to make it happen on time. The bride was crying thinking her day was ruined but with a lot of team effort we pulled it off on time. “I’ve been here with my parents, maternal grandparents, and my sister, and we had the most wonderful time in there. We enjoyed swimming in the pool and in the ocean, as well as eating delicious food that I can’t resist. We also enjoyed playing games that staff entertainers hosted, such as kayaking at the pool (didn’t get a chance to do it), darts (which I’m bad at it), archery (which I’m good at it), etc.